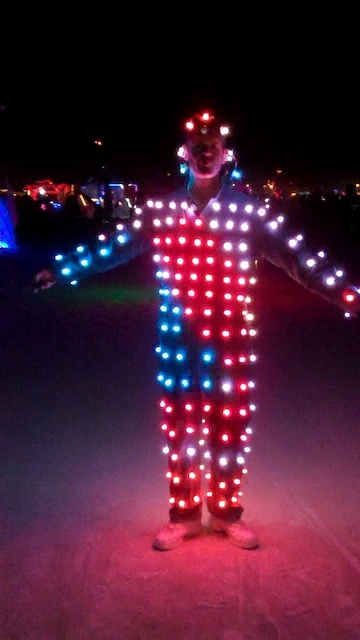 It's time for our annual report back from Burning Man, now with more glowing things than ever! Burning Man is an annual large scale festival in Nevada’s Black Rock Desert where people experiment with art, community, and fun. Shelly will first review highlights in art from Burning Man 2012, with a focus on the more interactive, new media projects where people are playing with electricity. She will then describe in more detail her groups’ adventures in creating their own projects, the NSS Triton and Insemination Station, including animating the world’s largest rope light – 85 feet of individually addressable RGB LEDs , which she will bring for you to play with. 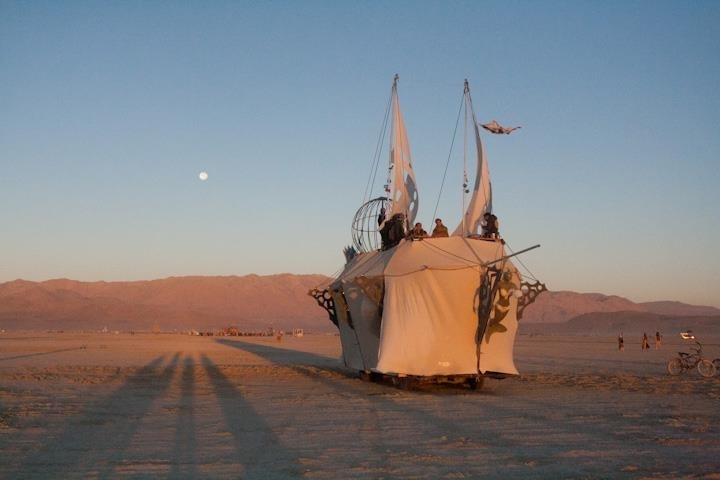 Shelly is an artist and technologist who has served as creative lead on large scale, collaborative projects both on and off the playa for 15 years. In her day job, Shelly is a research scientist at FUSE Labs, Microsoft Research, specializing in social media. An avid Dorkbot fan, she also served as Seattle's Dorkbot Overlord for several years. Anthrolume is a computer-controlled light suit capable of high-speed animation and music synchronization. In its debut at Burning Man 2012, it projected animations based on abstract artworks by such greats as Doesburg, Kandinsky, and Mondrian, thereby re-interpreting those works in a modern media. The physical suit and its construction, the phone-based control app, and the software used to create the animations will be demonstrated and discussed. Bryan Ressler is a Seattle-area engineer and electronic musician who for the last two years has been experimenting with wearable electronic art.